Harvey Beef was awarded the Best of the Best award at the prestigious Food & Beverage Industry Awards in Sydney on the evening of Monday 17th July 2017, for the launch of their premium range of steak cuts into Coles Supermarkets across WA. 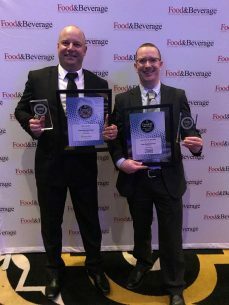 These awards recognise success and innovation in the food and beverage industry across Australia. 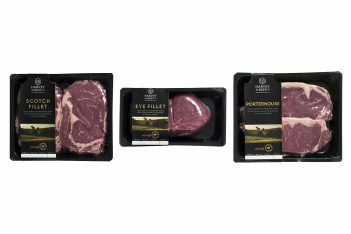 The new range (Scotch Fillet, Porterhouse & Eye Fillet) has been available in Coles Supermarkets across WA since April and is part of Harvey Beef’s ongoing commitment to work with WA cattle farmers. Head of Investment for Minderoo, John Hartman said “Customer feedback on this range has been fantastic so far. Not only are they able to buy premium Western Australian beef from a trusted WA company in their local Coles, they also know they are supporting WA farmers and the broader WA economy. Click here to find your nearest Coles.